A great new decoration for your Halloween party! 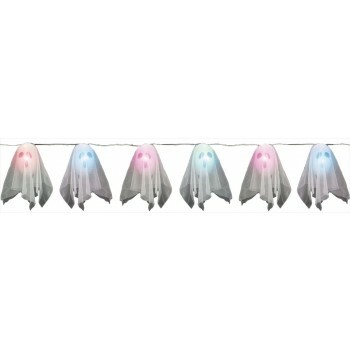 A string of little ghosts that light up and change to different colors like Christmas lights. Requires 3 AA batteries that are not included. These are also sound sensored. 63" x 11" x 8".